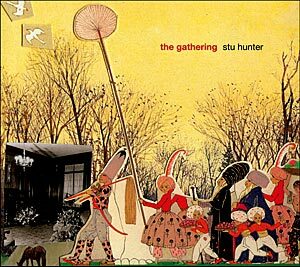 PIANIST/COMPOSER Stu Hunter’s second suite is an hour-long journey even more enthralling and engrossing than his first, The Muse, released in 2007 with Cameron Undy on bass, Matt Keegan on tenor sax and Simon Barker on drums. Adding another tenor, Julien Wilson, and James Greening on trombone and pocket trumpet contributes greatly to the diversity and splendour of the musical landscape, which is gripping from the vigorous opening piano salvo onwards. A fabled wilderness gathering in part inspired Hunter’s vision, bringing passages of reflective beauty (Bend in the River), the bustle of crowded conversation (Gypsie Part II) and restless energy (Wind Spirit). Among many highlights are Wilson’s mournful, breathy sax and Keegan’s plaintive clarity in Truth, the twisting, bowed bass in Hiatus and the primal mewling of Greening’s trombone in Bundanon – Part II. Turn off the telly. The Gathering is an imaginative, compelling work that deserves the undivided attention of a few friends. This entry was posted in CD REVIEWS and tagged Cameron Undy, James Greening, julien wilson, Matt Keegan, Simon Barker, Stu Hunter, The Gathering, The Muse. Bookmark the permalink.